Creating and maintaining a training program isn’t just about who you get into your portal, it’s also about who you leave out. Restricted LMS access is an important security and commercial feature that eFrontPro does very well! Serving your training content to hundreds or even thousands of learners is a piece of cake with eFrontPro. It is, in fact, one of the platform's key strengths: Facilitating corporate training and talent development in an intuitive, powerful, and cost-effective way. What about hiding your content from your users, though? That is, what about when you want to restrict access to who can see what, based on their user account, department, learning progress, or some other such criterion? 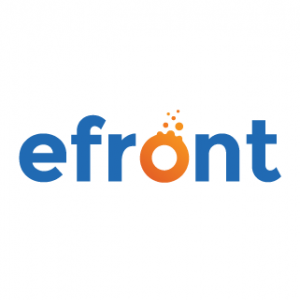 Well, eFrontPro has that covered too, with more than half a dozen ways to restrict LMS access to content, and in this series of articles, we are gonna go through them one by one. LMS access-wise, the biggest divide in eFrontPro (and in the majority of web services for that matter) is between those with an account on the system and those without. Of course until the former have actually logged on (using one of the several supported methods, which include eFrontPro's built-in authentication mechanism, several Single Sign-on protocols, and third party "identity providers"), they won't be able to access your eFrontPro portal's courses, file library, discussion forums, or administrative screens. That said, if you want to create a number of static (not Course-related) pages and have them be accessible to everyone visiting your training portal regardless of whether they have an account, you can do that too, using eFrontPro's Homepage Builder. 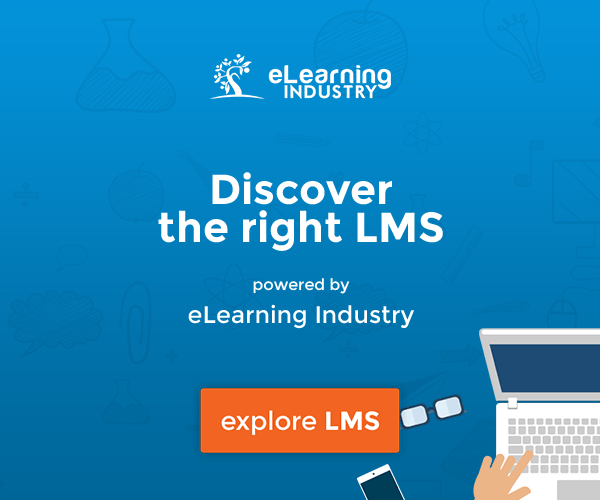 If you are running a commercial eLearning portal you can leverage this feature to create promotional pages about the courses on offer, FAQs for prospective members, and those sort of things. If you're running an extended enterprise training program, or even a regular corporate talent development program that spans multiple locations (and perhaps multiple countries), you'll probably want to restrict LMS access to your training portal, while still having it accessible over the internet. eFrontPro's IP whitelisting lets you have your cake and eat it too. Your eLearning portal will be accessible from the public internet, but only from specific IP addresses (namely, those of your regional offices). This scheme, while not as strict as only allowing intranet users conditional access to your training portal or requiring the use of a VPN, is still an effective and hassle-free way to secure your training content. You can restrict users from logging in simultaneously with the same username (handy for commercial eLearning, where you want to avoid account sharing), and even ask for Captcha and/or email verification before letting a new user sign up. Most of the security features that we have discussed thus far concern visitors (and/or prospective intruders) without an eLearning portal account. eFrontPro's protection, however, goes far beyond restricted LMS access. Each logged-in user in eFrontPro is assigned a specific User Type -- either one of the three built-in types (Administrator, Instructor, Student) or one of your custom types that derive from them. A user's type determines the overall internal LMS access, namely workspaces, features, and content that they are allowed to access (view, edit, delete, create new instances of, etc). An Administrator has pretty much free reign over the whole eLearning portal and its configuration. An Instructor can create new courses and lesson units, edit courses that they have created or have been assigned to, upload files, view reports, and perform mass actions. Last, but not least, a Student can access the course catalog and open any courses that have been assigned to them (or that they have bought, in the case of commercial eLearning). 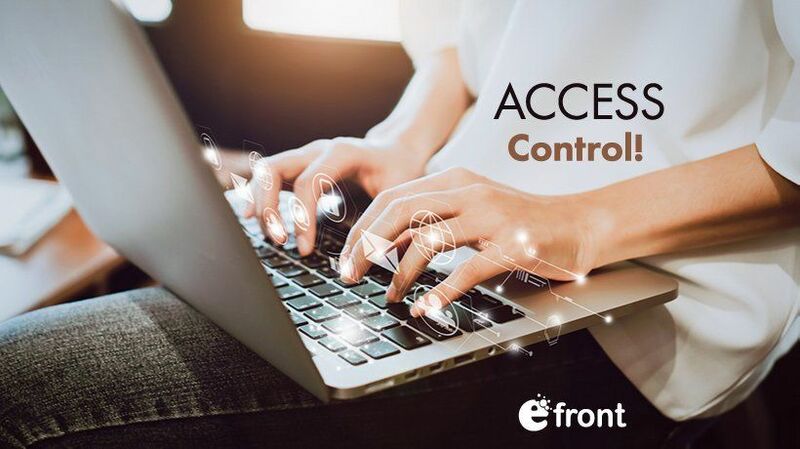 If these coarse-grained access rights are not good enough for you, eFrontPro allows you to create your custom User Types, and fine-tune their permissions and LMS access. You can, for example, leverage this to create an "Assistant Instructor" type that can help learners in the Discussion forums but cannot edit courses or create new content of their own. Regular old students don't get much access in eFrontPro. They can see their Homepage, the Course Catalog, any public pages you've created for them, the Courses that they have been assigned to, and that's about it. Some courses might demand specific Skills before a user can take them, making other courses that offer them prerequisites. Other courses might require a certain gamification level to be reached before they can be "unlocked". Some learners might need to obtain a "course code" from their Instructors in order to be able to enroll in a specific course. Last, but not least, a "completion rule" configured for a course might prevent students from skimming through a course's lessons, requiring them to complete each one before proceeding to next. In this article, we had a first look at eFrontPro's comprehensive list of options for managing restricted LMS access to your training portal (or to specific parts --courses, lessons, workspaces-- of it). We are going to be covering several more related features in next week’s article, so stick around!